Kienco helps organisations create their best future workforce in times of profound change. Through Strategic Workforce Planning and Applied Foresight, we help you identify and leverage opportunities to achieve your organisation's vision. We're a boutique consultancy with global reach. Our product and service range helps HR organisations get actionable insights into what's working today, and take tangible steps towards creating their best possible future workforce. Using our proprietary strategic workforce planning framework, Kienco can work with your team to determine the best approach to rolling out Strategic Workforce Planning initiatives, and provide you with materials and/or consulting to assist. We tailor each project to the preferences and resources of our clients and work with you to fully implement a Strategic Workforce Planning program across the organisation. Kienco’s Workforce Data Insights services leverages our experience in workforce strategy, data science, and behavioural science to give you insights into your workforce that are actionable, not just interesting. The service combines psychology research, case studies, and best practice with your internal data to understand the drivers of performance and retention in your own organisation; and to structure workforce analytics and visualisations that lead to meaningful insight. Kienco's Strategic Workforce Planning Masterclass course introduces the discipline and principles of Strategic Workforce Planning, provides detailed case studies and examples of each part of the methodology, and demonstrates approaches that will allow HR to contribute in a tangible way to the bottom-line of the organisation, as well as to build workforce agility. More information and upcoming course dates can be found on our Strategic Workforce Planning Training page. 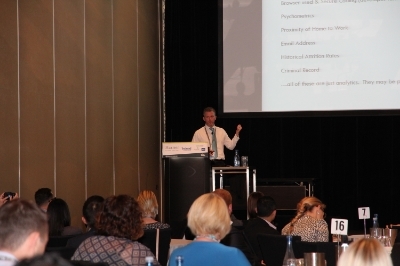 With our partners ATC Events, we founded the Masterplan conference, Australia and New Zealand's inaugural Strategic Workforce Planning conferences in Melbourne (26-27 March 2014) and Wellington (1-2 April 2014). These conferences were created to assist Australian and New Zealand HR Professionals learn techniques for developing and executing workforce strategy in the context of dynamic and profound workplace change. You can read more about #Masterplan2014 here. In 2016, we ran The Futures School at the Sydney Opera House in conjunction with our friends and colleagues at Kedge, a US-based foresight consultancy. The Futures School has been run in 23 countries around the world, and we were thrilled to be able to bring the public program to Australia for the first time.